Very special vibes at RAK studios, London this week, recording with Nigel Kennedy for his upcoming album. So honoured to be a part of this project! More to come! ‘The Freestyle Orchestra’ at Mosaïque Vienna!!! Cannot wait to perform with The Freestyle Orchestra for our Vienna debut at Mosaïque!!! Going carnival with “Phat Tuesday” on February 13th at Brick-5, this varieté-style program celebrates excess in all its forms in a final hurrah before Lent rears its dreary head. Musically, Chanda VanderHart is throwing together a little bit of everything, from the silky tones of soprano Sarah Marie Kramer and seductive sounds of bass Malte Roesner all the way to numbers including dancers, acrobatics, fire, burlesque, magic, costumes and aerial artists from The Freestyle Orchestra and L’Opera Moderne. The show is moderated by Mama Burlesque herself, Rebecca Greenstein, so expect the unexpected and a whole lot of fun surprise! Musical numbers about gold, gambling, and love-gone-wrong span classical song from Mozart contemporary Vicente Marin y Soler all the way to modern, electroswing creations and DJ Paul Stadler keeping it hot after hours. It’s going to be a weird, wild party! I will be performing violin and fire as well as an aerial routine and playing/dancing Roxanne with the amazing Roberto Martinelli. See you there! Stoked to be back at Concerts for Vienna for the 2017/18 season launch ‘Ein Fest der Musik’ on November 26, joining incredible artists Kate Louise Rafferty, Alfredo Ovalles among others in the home to art and history that is the beautiful Salon Razumovsky, Vienna. Getting my Opera education in a Burlesque club. 🙂 Looking forward to debuting as ‘Harlequin Phoenix’ with the amazing The Hot Box Girls Wien / Vienna at Kabarett Vindobona tomorrow night (yes of course there is fire involved) ;). Monthly shows until the end of the year! Hope to see you!! Back in Poland this week, leading the Extra Sounds Ensemble for a beautiful event celebrating the life and music of the legendary Jarek Śmietana. If you are anywhere near Krakow, come!! More event information here. 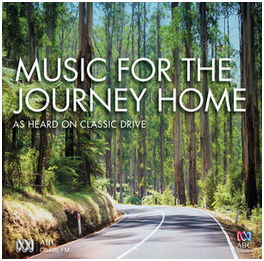 A 2008 recording of ‘Variations on an Epitaph’ composed by Chloé Charody and performed by myself alongside pianist Lindsay Gilroy has been selected for inclusion in the upcoming ‘Music for the Journey Home – As Heard on Classic Drive’ compilation, to be released on ABC Classics (Australia) on February 6. Buzzed after premiering Australian composer Chloé Charody‘s “The Phoenix” violin caprice at the Musikverein (Gläserner Saal/Magna Auditorium), Vienna, Austria on 15 May. Aussie Aussie Aussie!